After scoring bullseyes with Fruitvale Station (2013) and Creed (2015), film-maker Ryan Coogler now enters Disney’s elephantine Marvel Universe, which contains a huge collective of superhero adventures that are becoming increasingly hard to tell apart. Even with that restrictive multi-universe framework hanging heavily over his head, Coogler manages to deliver something of a movie miracle; a comic book adaptation that successfully stands out from the crowd. Following a prologue set in 1992, which involves a much younger King T’Chaka, the story moves forward to the present day, where Prince T’Challa (Chadwick Boseman) is about to be crowned the new leader of the African nation of Wakanda, after his father (John Kani) was senselessly killed in a bombing while speaking at a UN conference (seen in Captain America: Civil War). 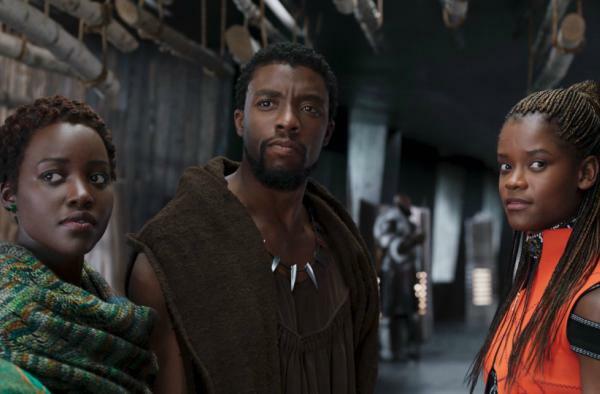 Racked with doubt as to whether or not he will be a suitable King, T’Challa is offered support by his understanding mother Ramonda (Angela Bassett), his forward-thinking, gadget obsessed sister Shuri (Letitia Wright), fellow fighter and ex-girlfriend Nakia (Lupita Nyong’o), and Okoye (Danai Gurira), head of the all-female special guard Dora Milaje. A nation which hides its technological advances and otherworldly resource from the rest of the world, T’Challa wants to keep things the way they are, while Nakia would rather see the peaceful nation help the international community any way they can. Also providing advice is long-time friend W’Kabi (Daniel Kaluuya). Problems arise when some of this unique commodity is stolen by arms dealer Ulysses Kraue (Andy Serkis, having a whale of a time), who wants to sell it to the highest bidder. Helping Ulysses out is Erik Killmonger (Michael B. Jordan), who seems to have his own agenda, which mysteriously involves Wakanda and its hierarchy. Reluctantly accepting CIA agent Everett K. Ross (Martin Freeman), who is also chasing the South African thug, into his tight-knit group, T’Challa, taking on the crime-fighting persona of Black Panther, must stop Klaue and Killmonger before they give nations around the globe the opportunity to destroy themselves and each other. Black Panther is an unexpected treat, given the way Disney keep a tight grip over the way the Marvel films are processed, and it is a credit to co-writer/director Coogler (who surprised everyone by giving audiences a terrific entry in the long-running Rocky series) that he is able to produce such an accomplished achievement. He and fellow screenwriter Joe Robert Cole (Amber Lake) soak the comic book elements in real African cultural history, and it is a fusion which pays off handsomely. 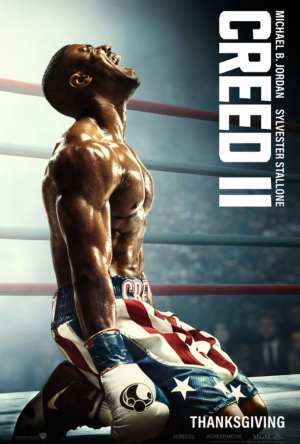 While there are a number of influences on display, ranging from The Lion King to Tron, Cat People to (believe it or not) Rocky III, Coogler is able to put his own stamp on proceedings. Bringing Coogler’s vision to vivid, colourful life is an exceptionally talented crew, most of whom worked on his previous two features. These include cinematographer Rachel Morrison (who is up for an Oscar this year for her exquisite lensing on Dee Rees’ excellent Mudbound), composer Ludwig Goransson, production designer Hannah Beachler, and co-editor Michael P. Shawver (pairing on this occasion with Debbie Berman, who cut Spider-man: Homecoming). Joining this exemplary team are veteran costume designer Ruth E. Carter (a long-time Spike Lee collaborator, from School Daze in 1988 to Chi-raq in 2015) and set decorator Jay Hart (L.A. Confidential, Guardians of the Galaxy Vol. 2). Accompanied by many fine technicians, they help ensure that Black Panther attains a distinctive look and feel. The casting couldn’t be better. Boseman, who impressed in films such as 42, Get on Up, Message from the King, and the recent Marshall, commands the screen from start to finish. Following on from his introduction in Captain America: Civil War, Boseman gets the opportunity to expand and develop the character of T’Challa, and he makes every second count. Coogler regular Jordan effectively breathes a mix of rage and familial loss into Killmonger, pushing him away from what could have easily been just another super-villain. Faring even better are Gurira (The Walking Dead, Treme, Mother of George) as the strong-willed Okoye, and Wright as Shuri, the latter arguably walking away with the film. Serkis, obviously happy to be actually seen on screen this time (as opposed to his groundbreaking motion capture work on the Lord of the Rings and Planet of the Apes films), is a marvellous bundle of unbridled energy, Freeman (The Hobbit trilogy) is similarly having fun as the wisecracking Ross, while praise must also go to Bassett (Strange Days, What’s Love Got To Do With It? ), Duke (Modern Family), Kani (The Ghost and the Darkness), and Sterling K. Brown (This Is Us, Marshall). Strangely, it is the two most high profile actors in the cast, Kaluuya (who is Oscar nominated for Jordan Peele’s terrific Get Out) and Oscar winner Nyong’o (12 Years a Slave, Queen of Katwe), who are handed what must be deemed the most conventional roles in the film, and while the resultant performances are fine, the material doesn’t truly allow them to shine. That aforementioned Marvel template does partially strangle Coogler’s ambitious intentions, pulling what could have been something genuinely unique in this overly strategic universe back into familiar territory, occasionally giving in to dictated formula so the many sequels, spin-offs, and origin stories can continue to arrive without a hiccup. The finale too unfortunately succumbs to effects-heavy spectacle (the stampeding rhinos feel like a cross between Star Wars: Attack of the Clones and Jumanji), and is the one time where the film loses its individuality. Black Panther is a breath of fresh air (as Guardians of the Galaxy was back in 2014) in a sub-genre that has definitely suffered from overkill, showing that something significant can be created if a talented film-maker is just given the chance to do so. Though the template causes the movie to fall into line more than one would like, Coogler and his masterful cast and crew have concocted a world which is imaginative, involving, and exciting. Blending the traditional with the contemporary, and expertly incorporating political and social commentary, Coogler might just be the heir apparent to the late, great Gordon Parks (The Learning Tree, Leadbelly, Shaft, Shaft’s Big Score, The Super Cops), who would look very favourably upon this passionate director and the glorious feature he has crafted. BLACK PANTHER is exciting and ultimately redemptive, with tremendous special effects and fabulous production designs. The performances are well done. Chadwick Boseman makes the perfect Black Panther.